Can you handle the heat? Our Spicy Buffalo Jerky always brings a universal reaction: WOW! 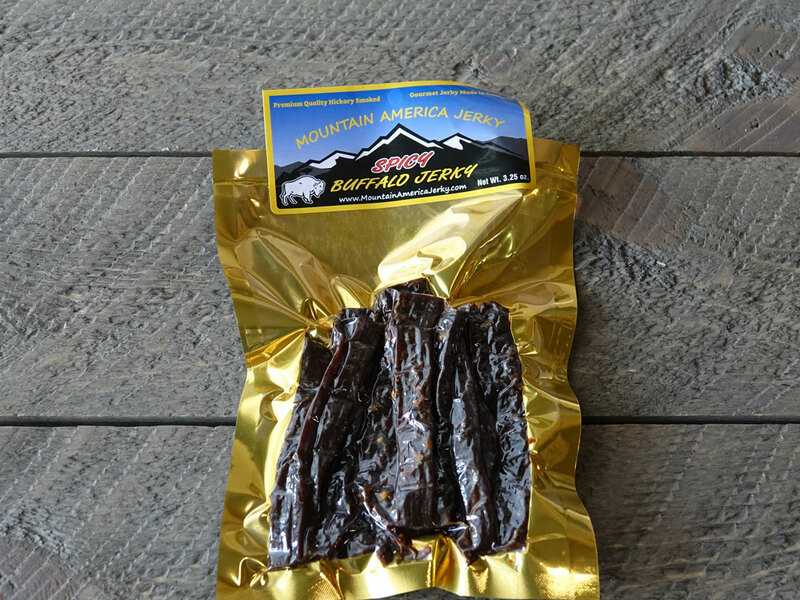 Cracked black, crushed red, and cayenne peppers combine with hickory smoked premium buffalo meat in this Spicy Buffalo Jerky. Buffalo meat is always a leaner option, and ours uses only whole muscle meat; no grinders or processors here. 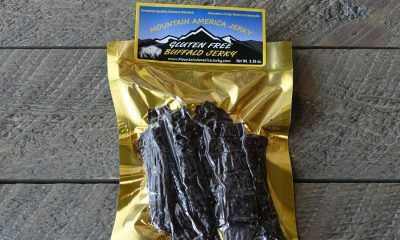 Our spicy buffalo (or bison) jerky uses premium buffalo meat that is never treated with growth hormones or steroids. It is thick cut, marinated, and hickory smoked daily with no MSG, nitrates, or other fillers. 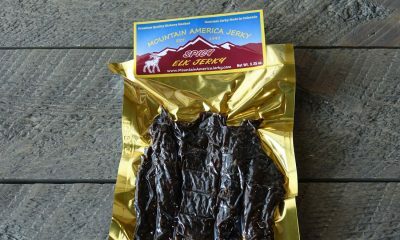 Give some Spicy Bison Jerky a try today! 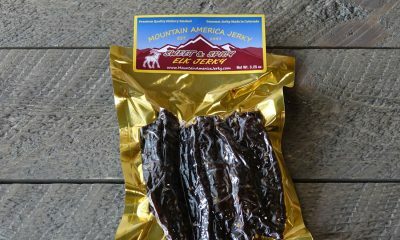 We absolutely loved the fresh taste and quick delivery of this buffalo jerky. Thanks Mountain America! Jerky, it’s what’s for breakfast. Avoid the stuff in the bar jar. Forget the Big Foot stuff. Give your doggie a chew too. Got Yak? Bison, try some. Elk, oh yeah. Take it fishing, I’m hooked on it. Beef Jerky, the other red meat. Don’t go camping without it. 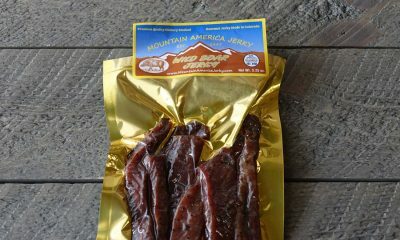 Mountain America Jerky can’t be beat. It’s simply the best.